A specter is haunting human affairs these days: it’s the thought that Karl Marx (on his 200th birthday this week) may have been more right than wrong about rich-get-richer bourgeois economics. He may have been righter still anticipating our anxious digital / global finance capitalism of 2018 than he was at describing his own unruly time in Europe in the 1840s, 50s, and 60s. 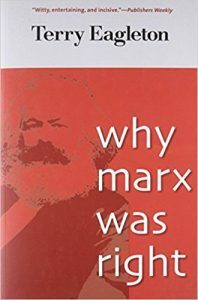 For advocating communist revolution all his life, Karl Marx became a scarecrow in the garden of money and power. He was the “best-hated man of his time,” said his friend Engels in a funeral oration. But the Times of London headline in 2008 was “He’s back,” when Wall Street melted down. 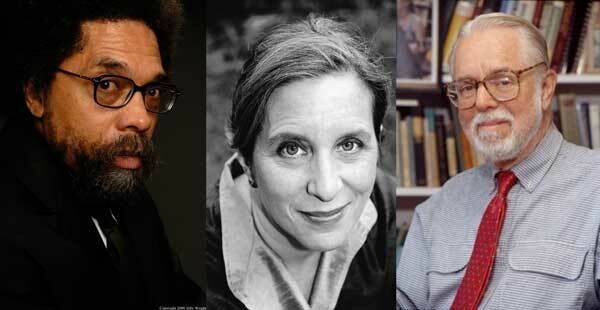 Marx is back, too, in reading lists on campus and rebel dreams around the world. “Working men of all countries, unite!” wrote the brash young philosopher/journalist Karl Marx, 29 years old, almost penniless, on the run from German and French police, new to London in 1848. “Let the ruling classes tremble at a Communistic revolution. The proletarians have nothing to lose but their chains. They have a world to win.” And so the mythic monster, a man and his ‘ism,’ found first, full voice in a manifesto of aphorisms that can sound Shakespearean to some modern ears, almost scriptural in authority, chilling or challenging to others. Karl Marx’s 200th birthday is the “hook,” as they say in the news game. What hooks us, though, is the “glaring relevance,” as Luke Menand put it in The New Yorker, of Marx’s working world and our own. It’s as if, in the din of the industrial revolution in Europe, Marx was noting down the roots of our own digital transformation today: his precarious labor is our full-blown precariat; his maldistribution of goodies is more extreme, and global. Fragility, uncertainty, arbitrary unfairness are main marks of a genie economy out of the bottle, out of the sorcerer’s control. Also this hour, we’ll get to Marx the gentle genius at home in a bourgeois family, the obsessive scholar trying to dope out a science of society at the same moment Charles Darwin was mapping a new science of biological nature. And Marxism today — in the toolkit of black politics and feminism. The omni-critic Terry Eagleton gets us started. Prolific Englishman with Irish Republican roots, he was shaped by Marxism and Catholicism. In his politics and his religion, Terry Eagleton says he not vastly different from himself as a 16-year-old altar boy. 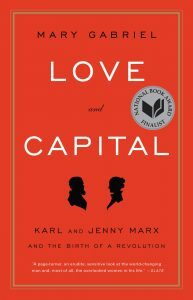 After the 2008 economic crisis, Terry Eagleton’s book was “Why Marx was Right,” under 10 main headings, like class, violence, and utopia. 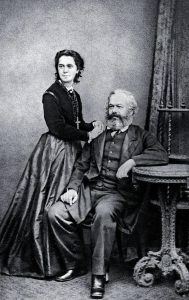 At Karl Marx’s two-century mark. Marxism early on became a cottage industry among white men parsing words and doctrine – no matter that the burden of the system they studying fell on women, and black and brown workers out of all proportion. The American biographer Mary Gabriel breaks the mold, on an ancient theory that the way to take the measure of a great man is to follow him home. What she found was a trove of family letters about an ostensibly conventional home: wife and daughters who worshipped the obsessive, often contrary man of the house. He makes rich, complex, deeply sad life blighted by two, some-say three suicides among the daughters who would have done anything for him. Robin D. G. Kelley is an influential cultural historian, based now at UCLA. 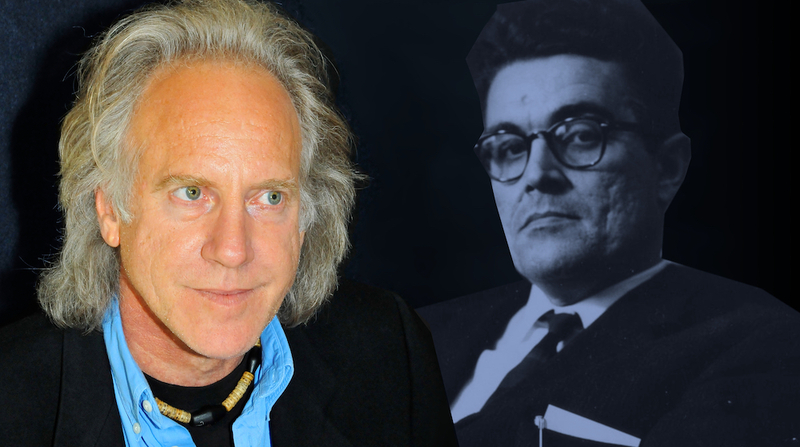 He’s a student of 20th Century black struggle; a biographer who broke through the mystery of jazz genius Thelonious Monk, and all the while an unorthodox Marxist in motion – in the direction of Surrealism, he says now. He’s the authority we wanted to hear on why activism of all stripes keeps turning to the peculiar language of Marxism. Great names of black struggle from W. E. B. Dubois to Paul Robeson to Huey Newton and Rap Brown have called themselves Marxists, sometimes Maoists, sometimes Communists. literary critic and author of Radical Sacrifice. Happy Birthday. Karl Marx: You Were Right!